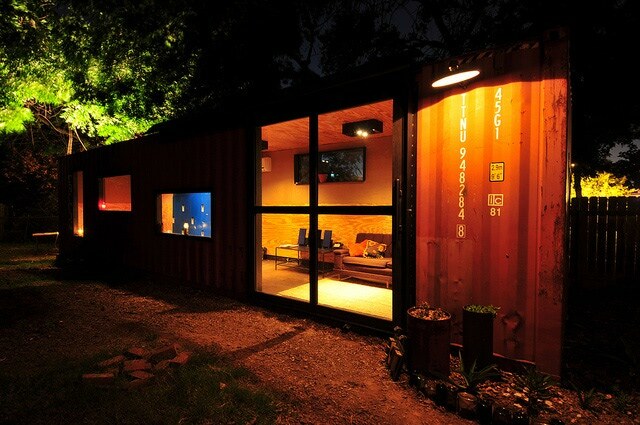 Allen Stulberg is an artist who lives in East Austin he re-purposed two conex boxes and turned them into an art studio. 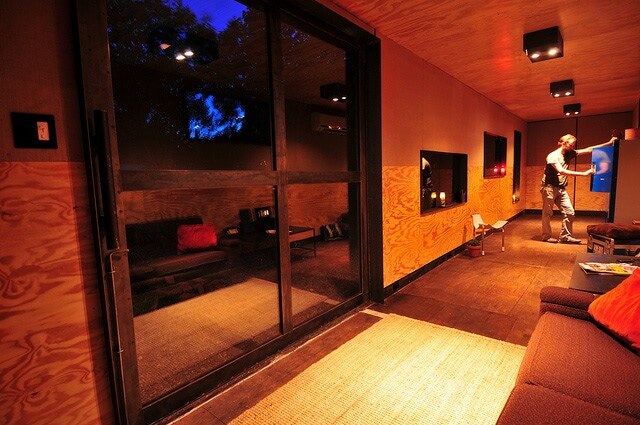 The first container was a 40 High Cube ISO container that he uses for his main studio. The second is a 20' container that he uses as an annex and material staging are for his various art projects. OneGoodEye, 2010, CC BY-ND 2.0. The work that Allen did to the containers was a work of art in itself so Allen wrote a blog about the challenges and excitement of modifying two boxes to fit his needs and simplify his creative process. Check out Allen's blog and you can see additional photos of this project at flickr.